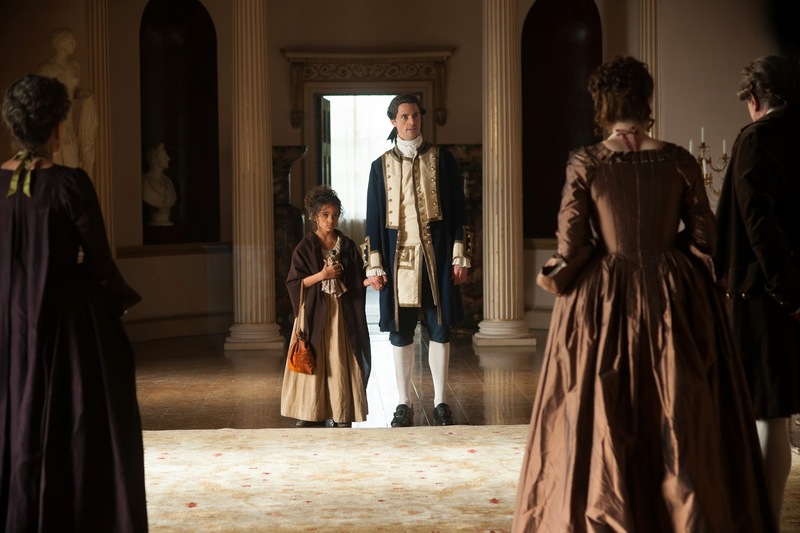 We've talked about BELLE, next month's 18th century epic set in England and starring Gugu Mbatha-Raw (TV's Undercovers, Jupiter Ascending) a few times on Cinema in Noir, and you may remember I wasn't so excited to see yet another period film dealing with racial strife. But after watching this new featurette (shown below), I have to say I am now eating my words because it looks like the film, inspired by the true story of Dido Elizabeth Belle, the illegitimate mixed-race daughter of a Royal Navy Admiral, will highlight a story that we rarely see in film. Rather than broadly show the institution of racism as many other films have before, it will focus on a personal and sociological struggle told from a woman's perspective outside of the U.S. It will be interesting to see if some of the same societal and racial complexities we encounter in the U.S. is reflected in Dido's story, and the unique issues she faced in England (and how much, if anything, has changed today). Directed by U.K. filmmaker Amma Asante and written by Misan Sagay (best known for the 2005 TV film, Their Eyes Were Watching God), BELLE is slated to hit theaters May 2nd. I saw the trailer of this movie last week before the screening of Fading Gigolo. It looked gorgeous! It fascinates me, though, that in the past two years so many movies are discussing black oppression. I really wonder why that's so popular right now. Any thoughts? In any case, I'm really looking forward to seeing this movie :) It really does look stunning, and the story sounds interesting as well. @Manon @ The Movie Scrutineer Thanks for your comment! I think at this point Hollywood is going with what is selling and especially since it's an image that is familiar to them. I have the same gripe, but I do like that this one tells a different story.